We went there yesterday. Good rally again, so much spectators, good action. Too bad Meeke retired early. 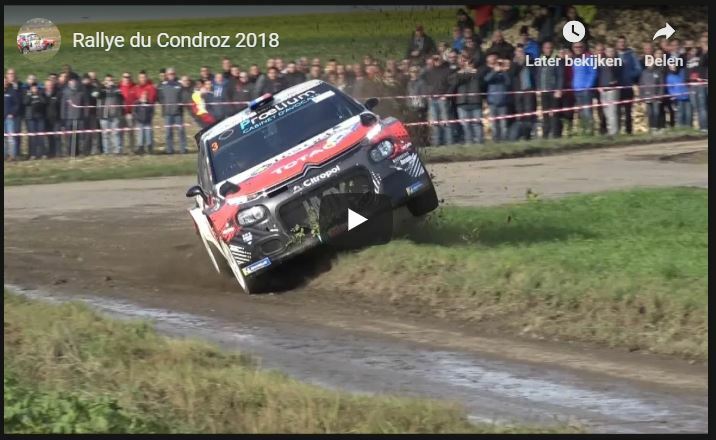 What happened to Bedoret on SS7? Puncture? He was fast today even winning one stage. Condroz win for Lefebvre, with three C3 R5's in the top 8. On Belgian Tv they say the motor damage of Meeke was caused by an off? Can't see any visible front damage, but could have been some small excursion that broke a cooling pipe or something. The very white smoke looks mostly like steam. Anyway after watching I few vids I have to say there are people in insane places in just about every second corner. Lot of them are "photographers" (= invincible). But also other people. Mostly on the outside of faster corners.